Not sure what to make for Valentine’s Day? These 14 Perfect Valentine’s Day Recipes have you covered! I absolutely love Valentine’s day. Chocolate, candy, an excuse to dress up puppies in costumes….. I love it. Now, I understand 100% why a lot of people dread February 14th: there’s too much expectation, it’s only for couples, it’s just an excuse to sell jewelery. These are all totally valid points. But I like the idea of taking a little time to do something special for the people we love and eating something delicious at the same time. So today, I’m sharing these 14 perfect Valentine’s day recipes. 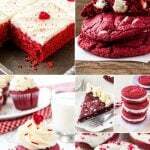 There’s chocolate, pink, red velvet and everything delicious! 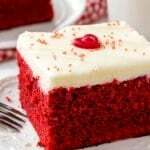 And even if you hate Valentine’s day, these treats will definitely make your day better. 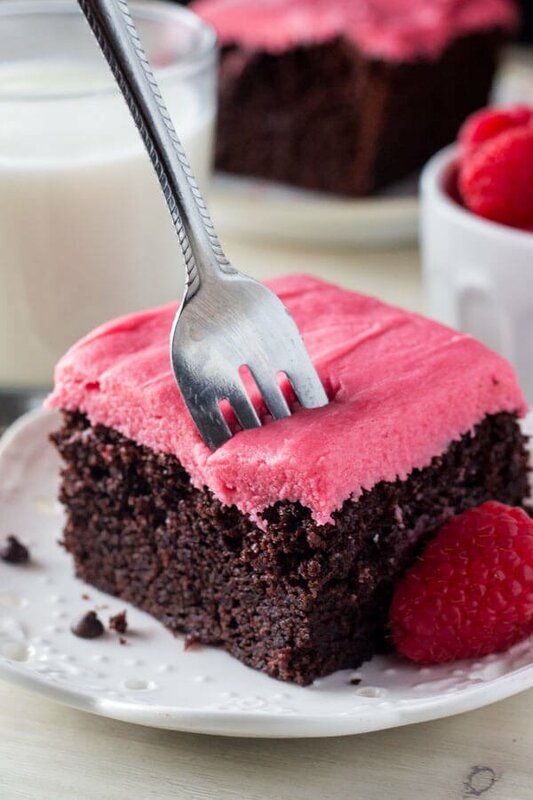 Fudgy Chocolate Cake with Raspberry Frosting This rich, super fudgy chocolate cake has a deep chocolate flavor. 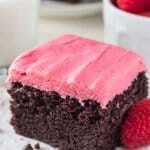 Then it’s topped with fresh raspberry buttercream so it’s perfect for Valentine’s! White Chocolate Cheesecake with Raspberry Sauce Smooth, creamy White Chocolate Cheesecake with an Oreo cookie crust and Raspberry Coulis Sauce. With easy step by step instructions – it’s the PERFECT cheesecake every time! These sugar cookies melt in your mouth because they’re so soft. Then the strawberry frosting makes them so pretty & perfect for Valentine’s day. Fudge Brownie Pie What could be better than a super fudgy brownie??? Brownie PIE!!! Red Velvet Doughnuts Red velvet + doughnuts + cream cheese glaze…. need we say more? Molten Lava Cakes I think gooey, fudgy molten lava cakes are pretty much the ideal date night dessert. Cherry Almond Cupcakes Fluffy, moist, super soft almond cupcakes topped with maraschino cherry frosting. Pretty in pink! 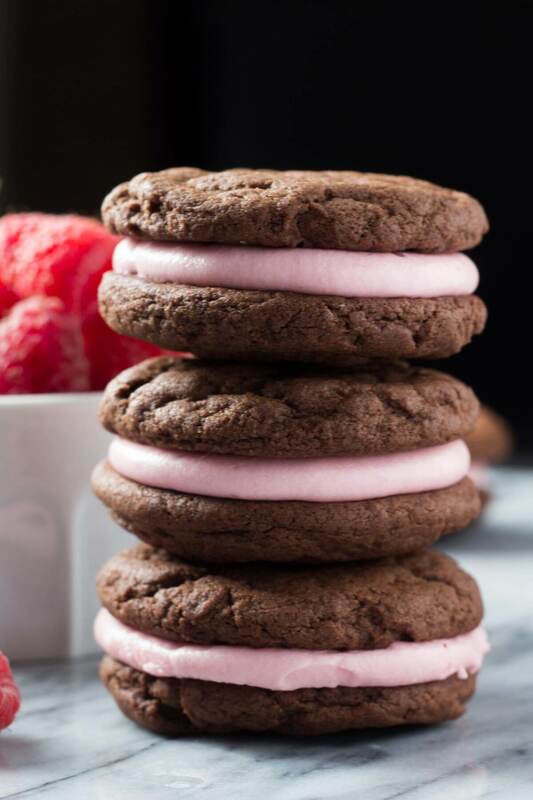 Chocolate Raspberry Sandwich Cookies Creamy raspberry frosting sandwiched between to fudgy chocolate cookies… um… yes please! 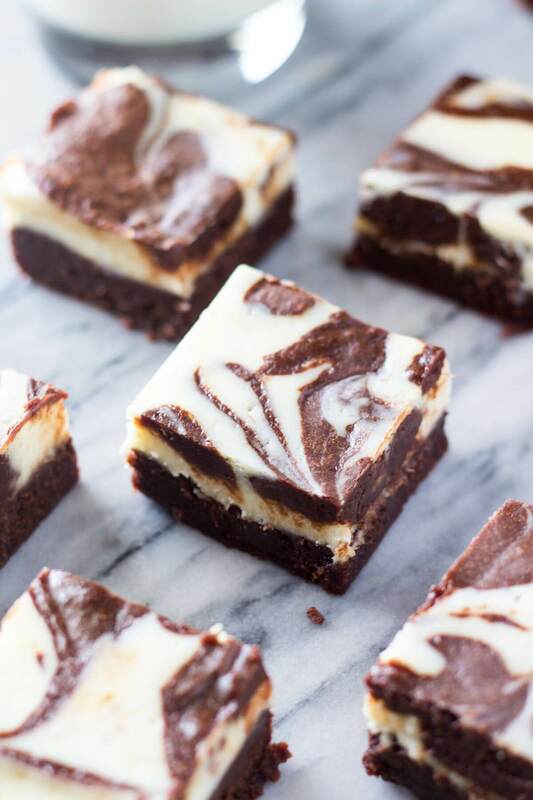 Cream Cheese Brownies There’s something about the combination of fudgy chocolate brownie and tangy cheesecake that’s so decadent and so delicious. Red Velvet Cupcakes You can’t go wrong with a classic. Especially when cream cheese frosting is involved. Nutella Chocolate Chip Cookies Nutella is probably my favorite food. So clearly, it deserves a place on the list. White Chocolate Conversation Heart Bark So pretty & such an easy recipe! Red Velvet Cookie Cake A GIANT red velvet cookie with white chocolate chips and cream cheese frosting. It’s my favorite recipe this year! I hope you enjoyed these 14 Perfect Valentine’s Day Recipes! What are you making for February 14th?